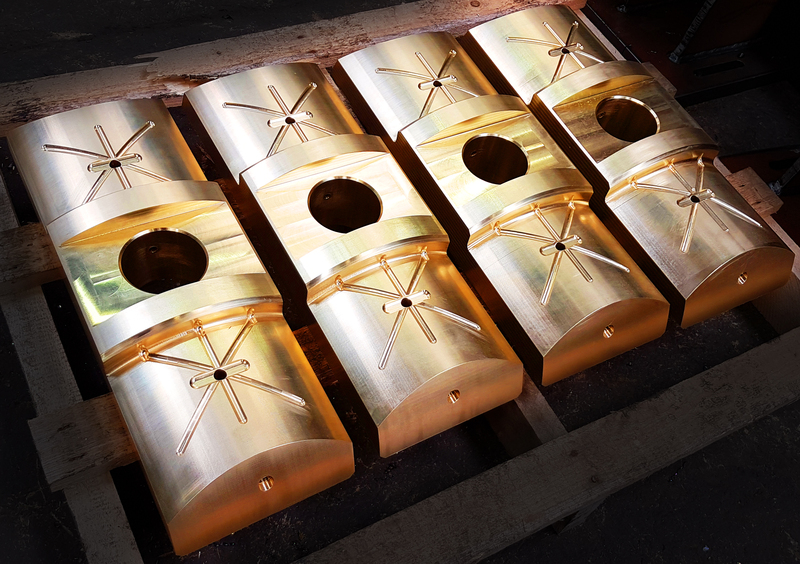 LH Quarry Plant Ltd recently machined these impressive brass slippers from free issue solid brass blocks for a local engineering company. This work was performed by our expert team using our Huron CNC machining centre. LH Quarry Plant Ltd often take on machining jobs such as this so if you have any similar requirements then please do not hesitate to contact us.